The AOP Wedding Experience is designed with you in mind. Our entire wedding photography experience focuses on building lasting relationships, serving you in the best way possible, and preserving your memories with timeless film images. This Wedding Experience blog series was created to give you a first hand peak of what to expect every step of the way in working with AOP. Be sure to check out additional posts talking about what you can expect when working with us! Today we’re sharing Part Three of our series which talks all about our Complimentary Venue Walk-Through and how this can help your wedding day run with ease. 01. Knowing where everyone is throughout the day. Walking through your wedding day timeline in the space you are getting married in is so valuable. This allows us to physically walk through your day step by step and see where the flow of traffic will be throughout the day for the soon to be married couple, bridal party, and guests. This helps me orchestrate the AOP Team in a seamless way throughout your day so everyone on my team is in the right spot at the right time capturing every moment of your day. Since we will have completed a successful walk through before your wedding day you can ease your mind knowing your photography team knows exactly what is going on and WHERE everyone is throughout your day. 02. Plan out portrait locations in advance for all types of weather. Every couple has preferences for what makes them feel most comfortable, beautiful, and alive in their portraits. By walking through and planning out some portrait locations in advance I can ensure to capture you and your partner in ways that feel most organically you. We can also make rain or snow plans so that we ensure that despite the weather you will have amazing portraits from your wedding day. In addition we can use this time to plan out where family portraits will be taken to accommodate all members of your family and ensure everyone can easily access the portrait location(s). 03. Capture your day with YOUR vision in mind! Every wedding is unique, so even if we’ve been to your venue before we want to see what YOU have planned! During the walk through we have the opportunity to talk about the flow of your entire day in the space it’s all happening in. This allows me to visualize all the most important aspects of your wedding day and be able to capture the venue and celebration with you and your unique wedding in mind. It’s YOUR wedding day and it’s important that we capture your relationship in the most genuine way possible. 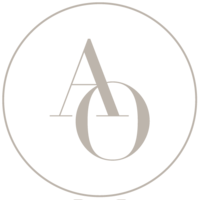 Have additional questions about The AOP Wedding Experience? Send us an email or fill out the form on our contact page. We can’t wait to hear from you!